We Specialized in Used mobility aids for a Budget-Friendly Customer. 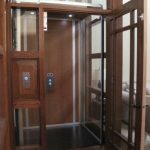 We maintain a variety of access lifts in stock. Our Stair lift prices for our used stair lifts may vary based on age and model. We buy stairlifts brandsand accept donations for veterans. Stairlift costs can be a significant investment for you and your family. A new brand name stair chair, including installation, can cost anywhere from $3,700 to $6,000. A gently used stairlift is an affordable way to access all levels of your home. Used stairlifts are refurbished to factory specifications, And will save you a lot of money. All of our pre-owned stair lifts are very dependable. 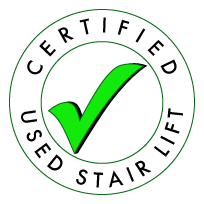 We put all of our used stair lift units through a 34 point comprehensive inspection to ensure quality and reliability. 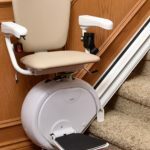 In fact, our used stair lifts come with a one year warranty on stairlift parts and labor, and you can purchase a maintenance plan at any time for used or new stair lifts through our Stairlift repair services. Purchase with Confidence with the Best Warranty in the Business.